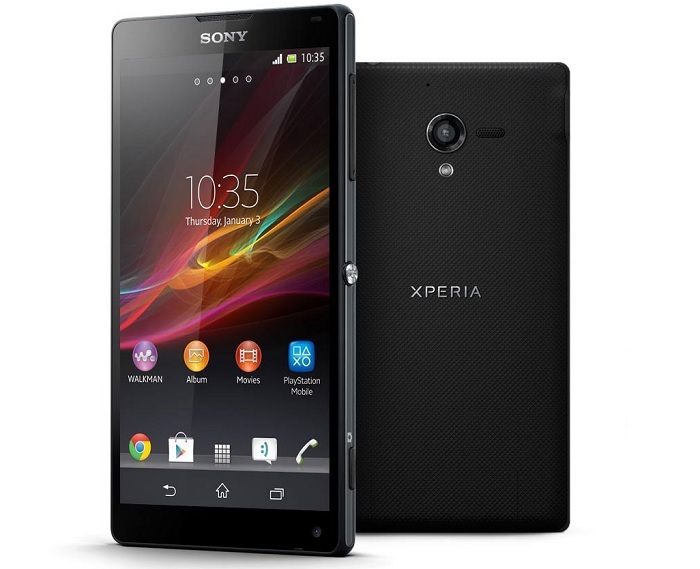 Sony Xperia Z To Get Android 4.3 Jelly Bean Tomorrow? Last month, Sony released its plans about updating a bunch of devices to Android 4.3 and Android 4.4 KitKat. Sony announced Xperia Z, Xperia ZL, Xperia ZR, Xperia Tablet Z, Xperia SP, Xperia Z Ultra and Xperia Z1 will get the taste of Android 4.3 Jelly Bean in the coming weeks. Sony Xperia Z Ultra and Xperia Z1 already got the Android 4.3 update, and it seems Xperia Z is next in line to receive the update. Earlier today, it seems someone at Sony pulled the trigger early and updated the software update page for Sony Xperia Z. 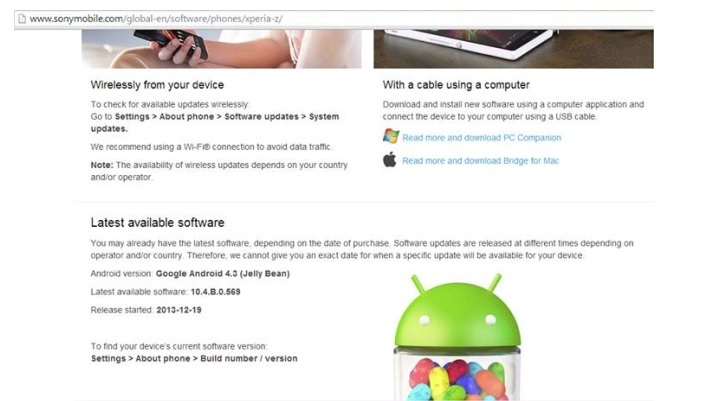 The page confirmed Android 4.3 Jelly Bean details including the software version 10.4.B.0.569, along with the December 19th release date. It could be true, as the Android 4.3 Update for Sony Xperia Z was also leaked earlier this month. Surprisingly, it came with the same firmware version as the one shown in the leaked screenshot below. It’s not confirmed and this date could change any time, but Xperia Z users at least get a date when they can wait for the notification to pop up on their screen or manually check for it. Although if it’s true, we hope to see an official announcement about it. Since then, the folks at Sony changed the support page, and it shows the previous version of the operating system. Let’s hope Sony will push the update tomorrow. In case that happens, we’ll definitely update you about it.